A Welsh language religious periodical serving the Church of the Latter Day Saints. The periodical's main contents were religious articles mainly explaining and defending Mormon beliefs, articles advocating emigration to Salt Lake City and reports on the activities of the Mormons in Wales. Amongst the periodical's editors were John Davis, the Mormon missionary Daniel Jones (1811-1861), George Quayle Cannon (1827-1901) and William Ajax (1832-1899). 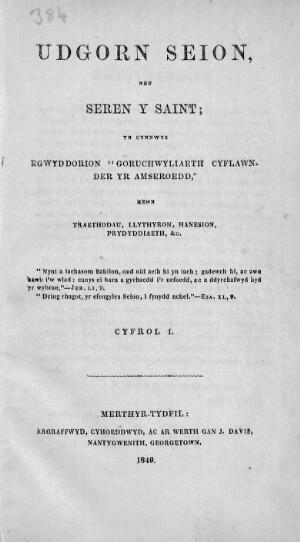 Associated titles: Prophwyd y Jubili (1846).